For those of you who did not receive refunds from PhotoPress Production, I want to hear from you. As I mentioned in my last blog post, I cancelled my tour before I ever received a contract for the workshops from PhotoPress Productions. I feel absolutely terrible about this situation, even though I had no responsibility regarding bookings and refunds... I want to make this right. If you did not receive your refund from PhotoPress Productions, I want to hear from you. I will be happy to include you on the list of attendees to admit for free. I'll let you know the actual dates and locations if you chose to attend. PhotoPress Productions - Where's The Money? It was brought to my intention sometime ago that refunds from my cancelled workshops in Europe have not been refunded as promised. I've been trying to get this issue resolved from here in the States. A friend of mine who was effected by this situation has now released his blog regarding this. 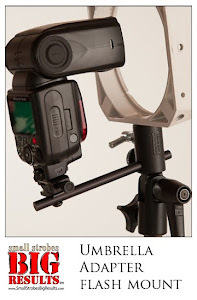 Rui Leal of Lighting Mods has written about this and it is worth reading, please take a few minutes to read it. I would caution you from having any dealing with PhotoPress Productions or it's founder Daniel Lugosi. Earlier this year I was asked by PhotoPress Productions to do a series of workshops in Europe, I agreed to do the workshops. The workshops were cancelled before I ever received a contract for my services. Workshops were planned for Lisbon, Porto, Milan, and various other cities. PhotoPress Productions handled all the bookings, scheduling, and other details for this tour. The workshops were cancelled for personal and economic reasons many months ago. PhotoPress's policy states that all refunds would be paid within 30 days from cancellation. I've been contacted by several students who paid for the workshops and have not received their refunds. I have been in contact with Daniel Lugosi, the owner and operator of PhotoPress Productions regarding this issue. After repeated promises from Daniel that money would be refunded, I here otherwise. I have received emails from 2 or 3 students regarding is issue, each time forwarding those emails to PhotoPress asking about the refunds. I was told several times by Daniel that refunds are being processed and only a few students still have not received them. Daniel told me that refunds have been delayed due to banking problem, frozen fund and some sort of other issue. I'm beginning believe this is a bunch of B.S. Since I wasn't involved with bookings, I have no idea how many students are effected. If you have not received your refund, I'd like to from you. Please leave a comment and let me know who you are and where you planned on attending. I'd like to know how many are involved. Because of the circumstances described above, I will never do business with PhotoPress Productions again. (up date) PhotoPress Production website is now down. I would personally stay away from any workshop or other business ventures that Daniel Lugosi is associated with. David Hobby and I have exchanged emails regarding the situation, David H. mentioned on the flickr Strobist group that he has emailed Daniel trying to put a bit of pressure on him to make the refunds. I appreciate David's effort in contacting PPP, since their website no longer online, I'm afraid the prospects of refunds are slim to none. This just makes me sick. One participant you may know is my friend Rui Leal, he runs the popluar blog Lighting Mods He has been waiting for his refund for quite sometime now. He has made a blog post about this issue and I would recommend taking the time to read it. For those of you that are mixed up in this mess, I'm very very sorry. I NEED TO HERE FROM YOU IF YOU ARE STILL WAITING FOR A REFUND. Daniel some what answers my emails, so there is a line of communications. I hope this means that he plans to come clean with those refunds. I encourage Daniel Lugosi to comment on this blog, let us know where the money is! 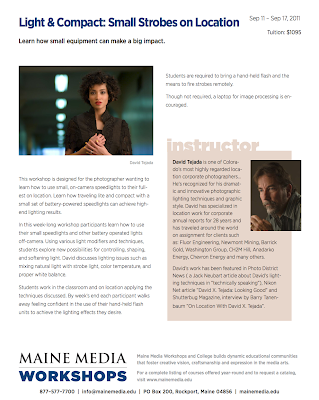 There are a few more spaces available for my up coming workshop at the Maine Media Workshops in Rockport, Maine. 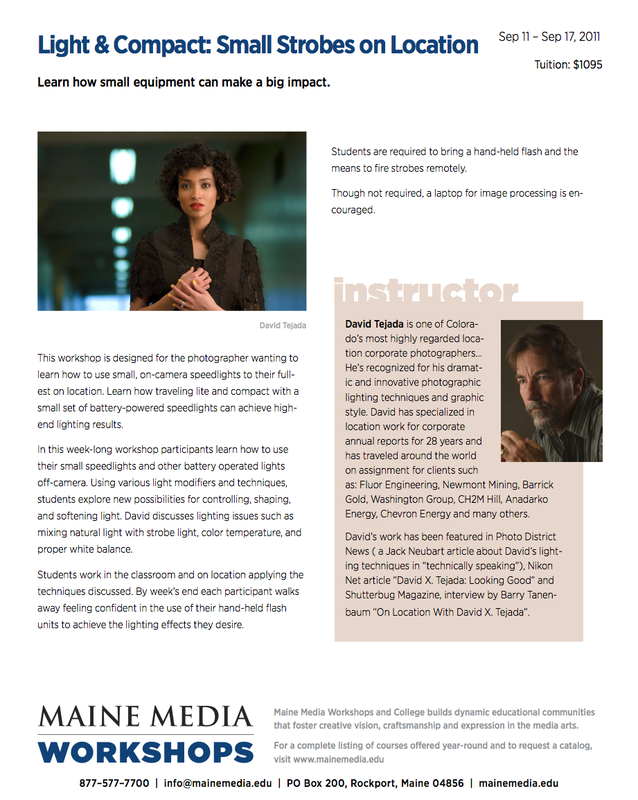 If your interested in learning how to get studio quality light from your speedlights, this workshop is for you. The workshop starts on September 11th and ends on the 17th. This will be my 3rd season teaching at this wonderful location, I hope you can join me. For more information and registration click HERE.